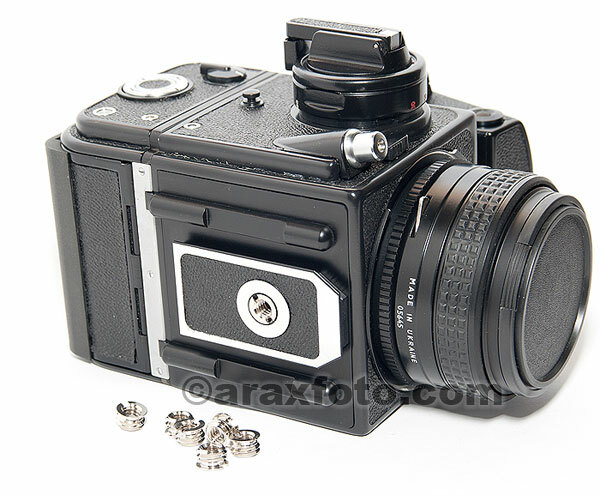 Accessories / Tripod adapter from ARAX (Kiev) to 1/4-inch (regular size). Tripod adapter from ARAX (Kiev) to 1/4-inch (regular size). 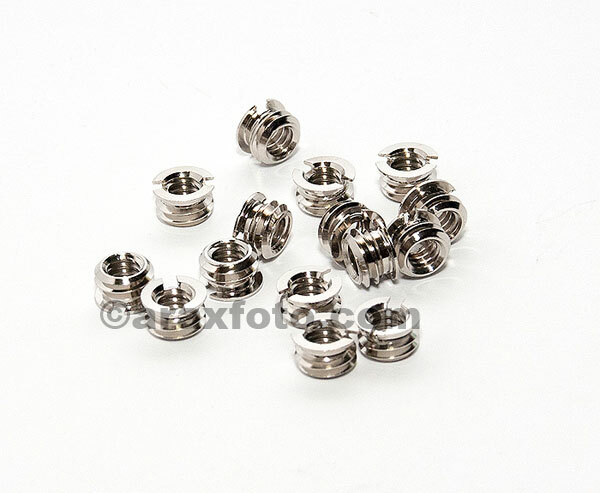 These quality adaptors allow you to convert your 1/4 inch screw mounts to ARAX (Kiev). Can be used with tripods, monopods, telescopes, ball heads etc. Also know as reducers or reducing bushes. 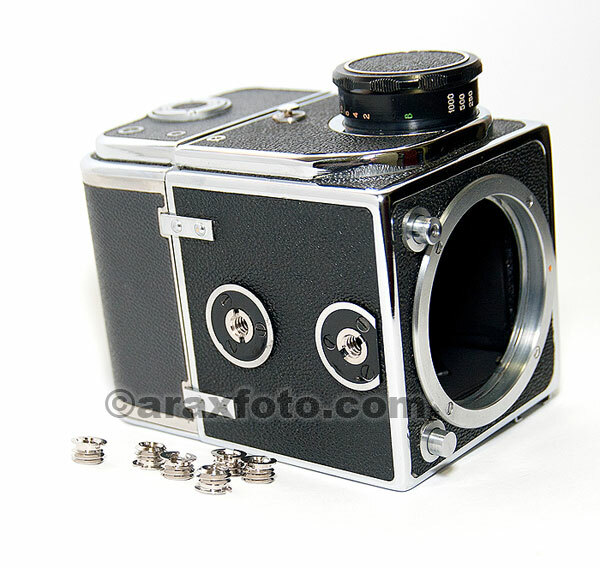 Made from chrome-plated Brass and fits to all ARAX and Kiev medium format cameras. 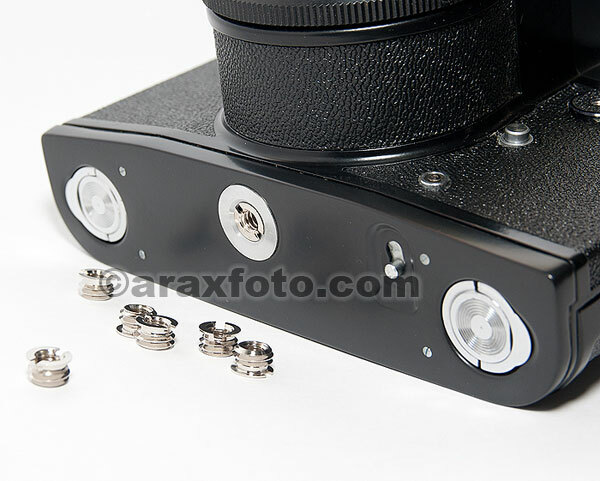 If you want to use your Arax cameras on regular tripods, you should you this adapter. It screw to wide tripod hole and transform it to regular 1/4" which is most common size for tripods.